U.H. Palihakkara is a Chartered Accountant, Investment Banker and Management Consultant with over 40 years of professional experience. He holds a MBA from the Aston University, Birmingham UK, where his dissertation was awarded the Best Management Thesis of the year by the British Institute of Management in 1981. 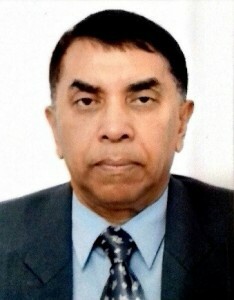 During his professional career, he has held leadership positions in several Public and Private Sector establishments including the Ceylon Electricity Board, Development Finance Corporation, the People’s Merchant Bank, the Merchant Bank of Sri Lanka, Acland Insurance Ltd., the Securities Council of Sri Lanka, the National Enterprise Development Authority and the Postgraduate Institute of Management. In addition, he had served as a Financial Management Specialist in the Commonwealth Secretariat (CFTC), UK. He had also worked in a number of programmes and projects funded by the World Bank (WB), the Asian Development Bank (ADB), the African Development Bank (AfDB), the International Fund for Agricultural Development (IFAD) and the European Development Bank. His Professional Highlights include: President – The Organization of Professional Associations (OPA) of Sri Lanka. President – The Institute of Chartered Accountants of Sri Lanka President – The Chartered Institute of Management Accountants UK (Sri Lanka Branch) President – The Association of Chartered Certified Accountants (UK) (Sri Lanka Branch) In recognition of services, he was inducted into the Hall of Fame of Chartered Accountants of Sri Lanka. In 2014. In 2016 National Apex Awarded to him in recognition of outstanding contribution to the profession and the nation by the Organization of Professional Association of Sri Lanka. 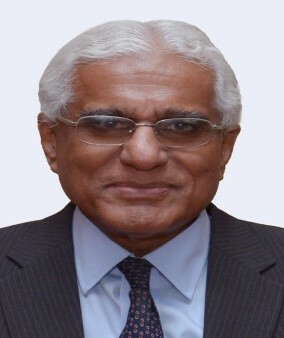 Dr. Indrajit Coomaraswamy has been the Governor of Central Bank of Sri Lanka since July 2, 2016. Dr. Coomaraswamy has 30 years of experience in policy making and providing economic advisory services, on both macroeconomic and structural issues at National and Intergovernmental levels. He served as Director of Economic Affairs at the Commonwealth Secretariat. He was an official in the Central Bank of Sri Lanka from 1974 to 1989. He worked in the Economic Research, Statistics and Bank Supervision divisions. During this time, he was also seconded to the Ministry of Finance and Planning from 1981 to 1989. He was reemployed by the Commonwealth Secretariat from 1990-2008. During that time, he held the positions, inter alia, of Director, Economic Affairs Division and Deputy-Director, Secretary-General’s Office. He was subsequently Interim Director, Social Transformation Programme Division, Commonwealth Secretariat (Jan-July 2010). 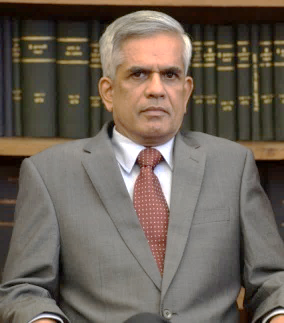 He was involved in advising the Prime Minister and the Minister of Economic Reform, Science and Technology, Sri Lanka on negotiating with Bretton Woods Institutions and other major donors, Central Bank of Sri Lanka and the Ministry of Finance & Planning on matters relating to macroeconomics and structural reforms. Dr.Coomaraswamy served as a Director of Sarvodaya Development Finance Limited. He also served as a Non-Executive Independent Director at Tokyo Cement Company (Lanka) PLC from March 2011 to July 3, 2016. He served as an Independent Non-Executive Director of John Keells Holdings PLC from February 7, 2011 to July 8, 2016 and as Director of MMBL-Pathfinder. Dr. Coomaraswamy obtained his B.A. (Hon) and Masters in Economics from the Cambridge University of UK in 1972 and subsequently obtained a Doctorate from the University of Sussex in 1981. He has represented and led Sri Lank National Rugby team. He led Sri Lanka National Rugby team 1974 in Rugby Asiad while he also played first class Cricket in Sri Lanka. Dr. Samaratunga is currently the Secretary, Ministry of Finance and the Secretary to the Treasury, Sri Lanka. He counts more than 30 years of experience in the public sector. In his capacity as the Secretary to the Ministry of Finance, he also serves as ex-officio member of the Monetary Board of the Central Bank of Sri Lanka and the Finance Commission of Sri Lanka. In April 2010, he was appointed as the Secretary to the Ministry of Environment and in 2012 as the Secretary, Ministry of Petroleum Industries. In January, 2015, he was appointed to Secretary to the Ministry of Finance and Secretary to the Treasury. Dr. Samaratunga holds a Ph.D in Economics from the La Trobe University, Melbourne and MBA from the University of Sri Jayawardenepura, Sri Lanka. He also holds MSc (Agriculture Economics) from the University of Wisconsin Madson, USA and B.A. (Hons) Economics from University of Peradeniya, Sri Lanka. He was a Member of the Boards of several Public Enterprises and Government-linked companies such as Bank of Ceylon, Ceylon Electricity Board, Mihin Lanka (Private) Limited, De La Rue Lanka Currency and Security Print (Private) Limited, Securities and Exchange Commission of Sri Lanka, Insurance Board of Sri Lanka, Sri Lanka Export Credit Insurance Corporation, the Postgraduate Institute of Management : University of Sri Jayawardenepura, National Institute of Education, Postgraduate Institute of Agriculture : University of Peradeniya. He was also the Chairman of the Carbon Fund. He also served as a Commissioner of the Presidential Commission on Taxation 2009-2010. Prof. Hareed Mohamed Zafrullah holds a LL.B. (Hons) degree from the University of Colombo (First in Order of Merit) and a LL.M. degree from Monash University, Australia. He is an academic and practitioner of the law. He is a lawyer of International repute in the areas of Public Law, Banking and Commercial Law. He has the distinction of teaching law in five Common Law jurisdictions. 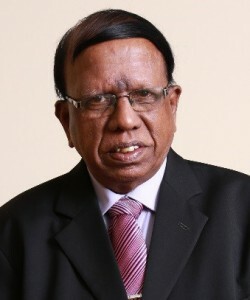 He has the distinction of teaching law to both law and non-law students at the undergraduate and post-graduate levels at the University of Colombo, Mannix College, Monash University, University of Malaya, National University of Singapore, Nanyang Technological University, Singapore and the City University of Hong Kong. He has extensive publications to his credit, He is the author of the first serious study on the present Constitution of Sri Lanka. Mr. V. Kanagasabapathy holds a Master’s Degree in Public Administration from Harvard University, U.S.A. and is a Fellow Member of the Institute of Chartered Accountants of Sri Lanka, Association of Public Finance Accountants and Institute of Certified Management Accountants of Sri Lanka. He is also a member of the Chartered Institute of Public Finance Accountants (CIPFA) London. He is presently the Advisor, Hotel Developers (Lanka) PLC (Fully owned Government Company owning Hilton Colombo). He is also the President of the Association of Public Finance Accountants, the public-sector wing of the Institute of Chartered Accountants of Sri Lanka. He serves as a Chairman of the Public-Sector Accounting Standards Committee and serving as a member of the Governmental and public-sector Enterprise Accounting Committee of the South Asian Federation of Accountants. He is a Council Member of the Institute of Chartered Accountants of Sri Lanka and serve as a member of the Council of Management of the University of Jaffna. Mr. Kanagasabapathy was the Financial Management Advisor to the Ministry of Finance & Planning and Senior Financial Consultant of the Academy of Financial Studies. He has over fourty years of service in the public sector in several senior capacities and retired as Director General of Public Enterprise in the Treasury. He also served as a Financial Management Reform Coordinator in the Ministry of Finance & Planning. 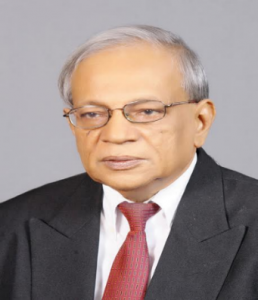 He served as a member of the Board of Bank of Ceylon, People’s Bank, Merchant Bank of Sri Lanka, State Mortgage & Investment Bank and several other Public Enterprises. He has also served as a Director/Financial Consultant of the Associated Newspapers of Ceylon Limited and executive Director of Hotel Development (Lanka) PLC.